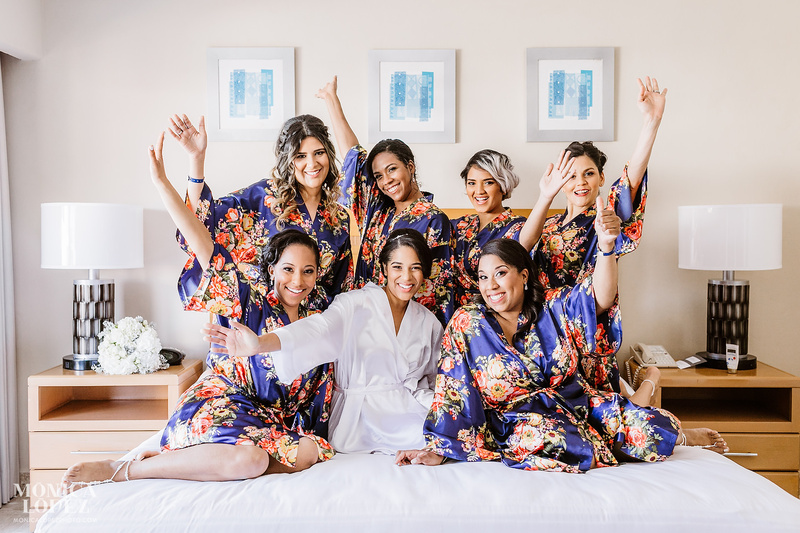 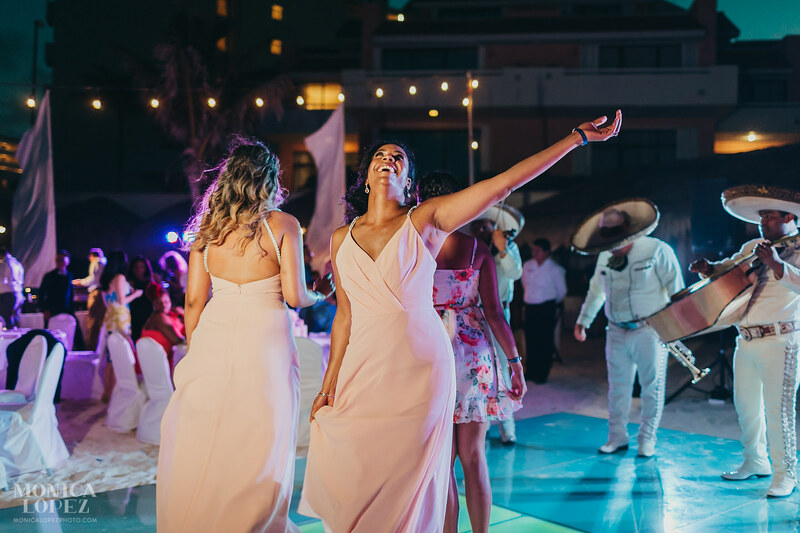 “Mexico is always a good idea,” read the welcome goodies Kimberly gave to her bridesmaids on the morning of her wedding, and, of course, I couldn’t agree more, but May weddings in Mexico are the best idea of all. 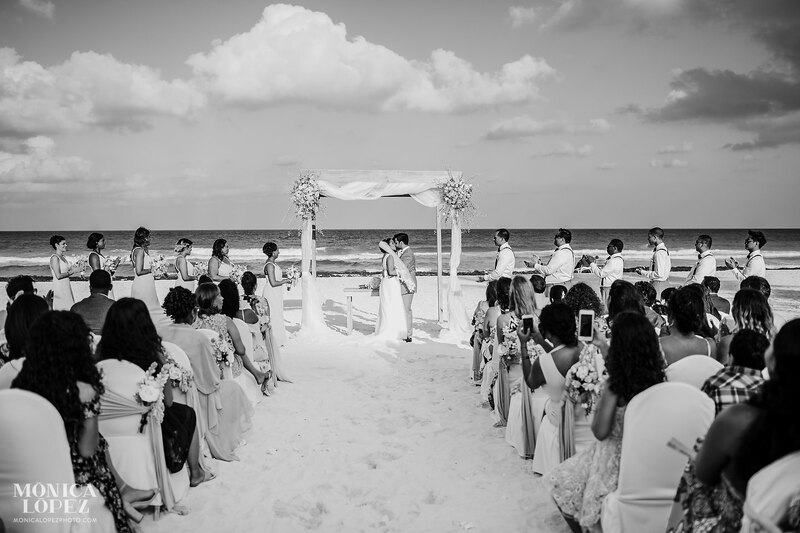 And this Omni Cancun Wedding on Cinco de Mayo, had it all! 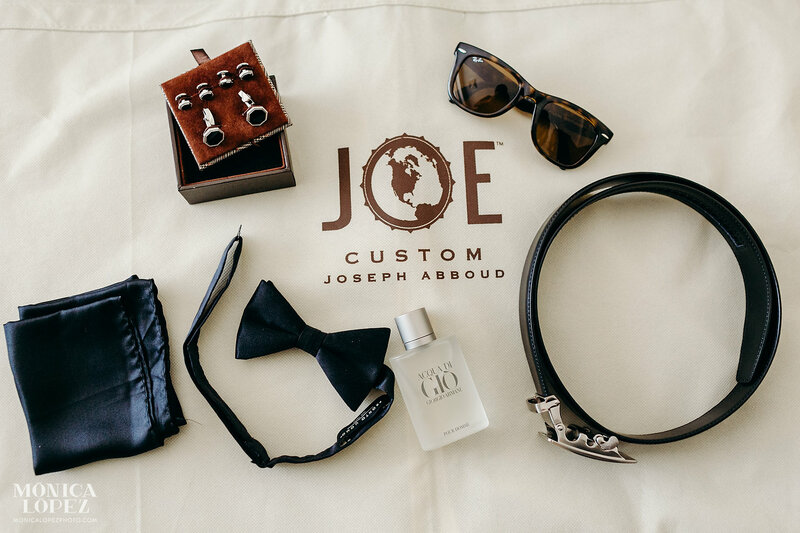 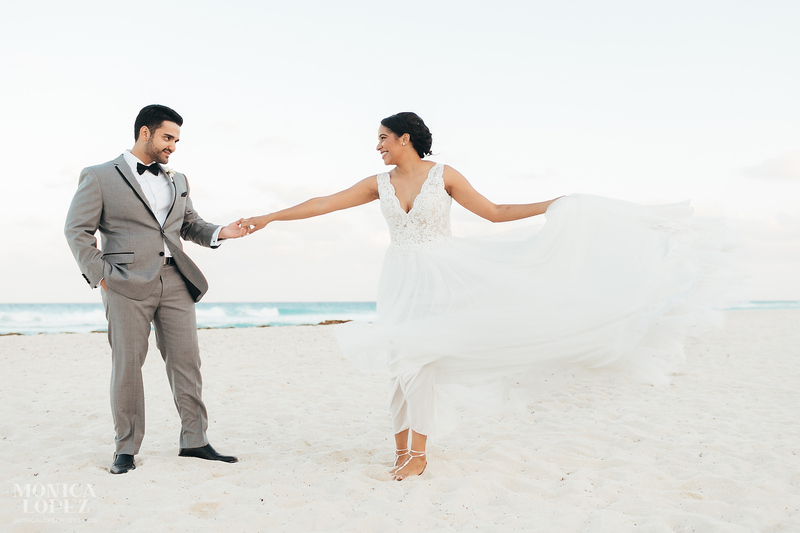 I’m sure it came as no surprise to the family and friends of this adventurous, travel-loving couple that Kimberly and Howard would plan a destination wedding. 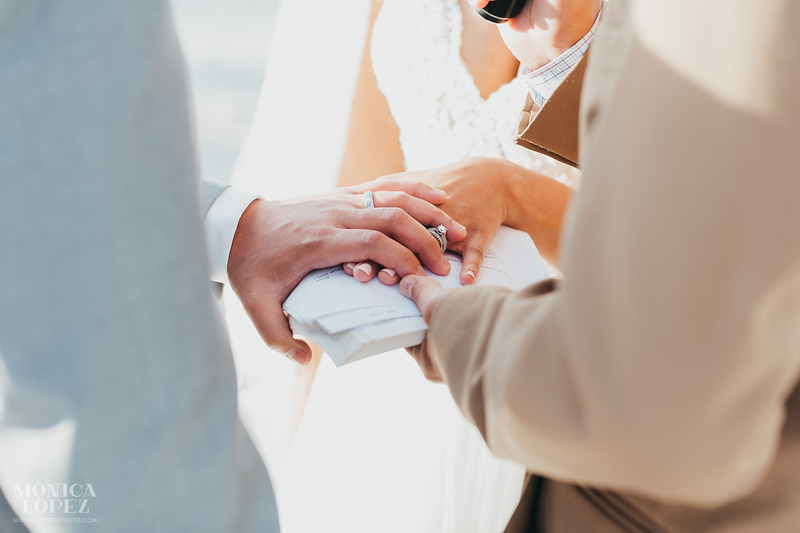 After all, Howard did propose while standing at the feet of the iconic Christ the Redeemer statue overlooking Rio de Janeiro! 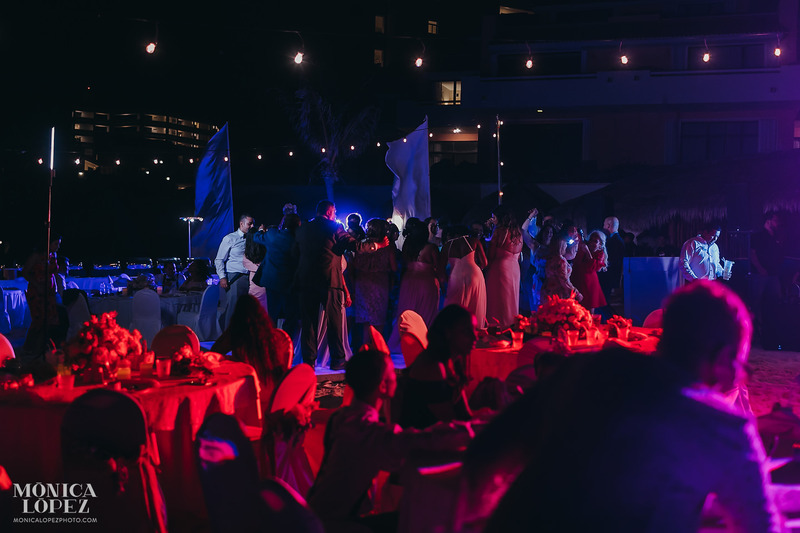 And I’m sure it was equally unsurprising that they would throw a party to remember, filled with memorable moments, including performances by a mariachi band and fire dancers! 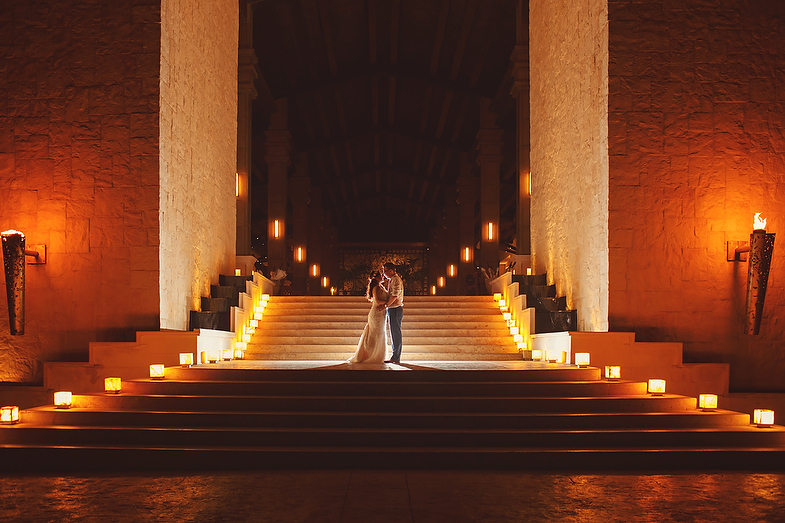 I love when couples share their photography tastes with me ahead of the wedding. 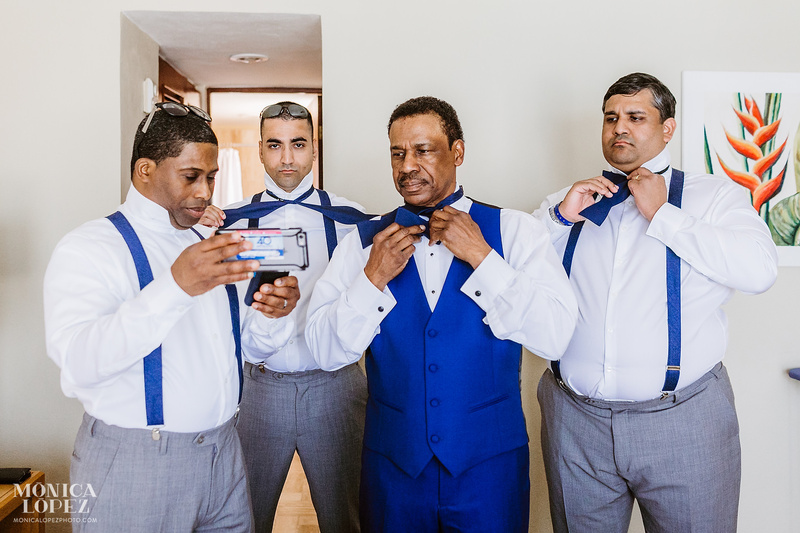 At the end of the day, the images will be decorating the walls of their home, so when Kimberly and Howard requested that I include some black and white images of their wedding day, I kept my eyes peeled for chances to incorporate that style into the day. 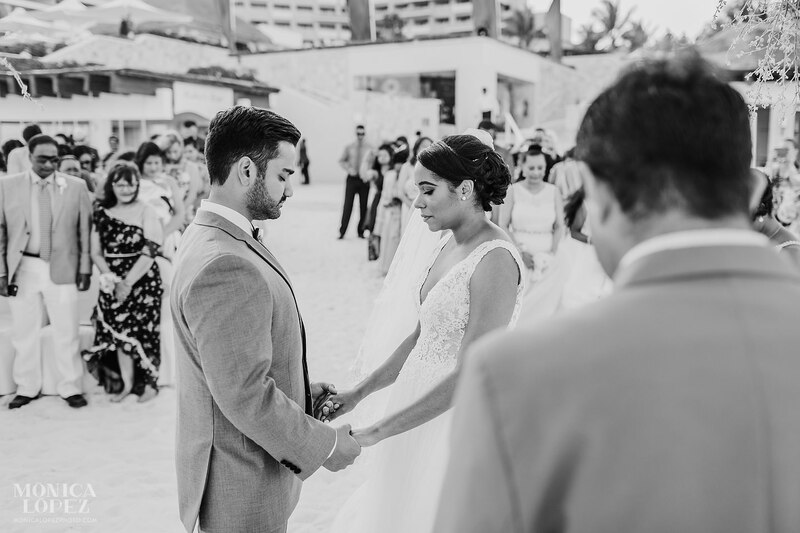 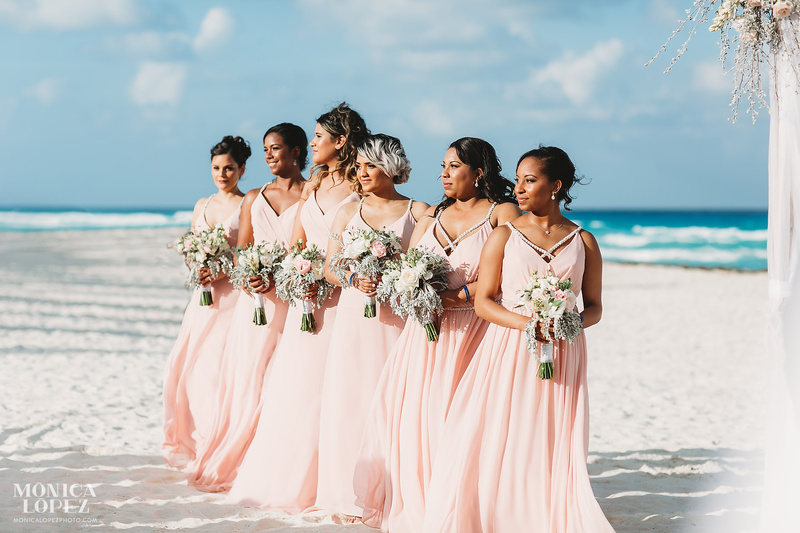 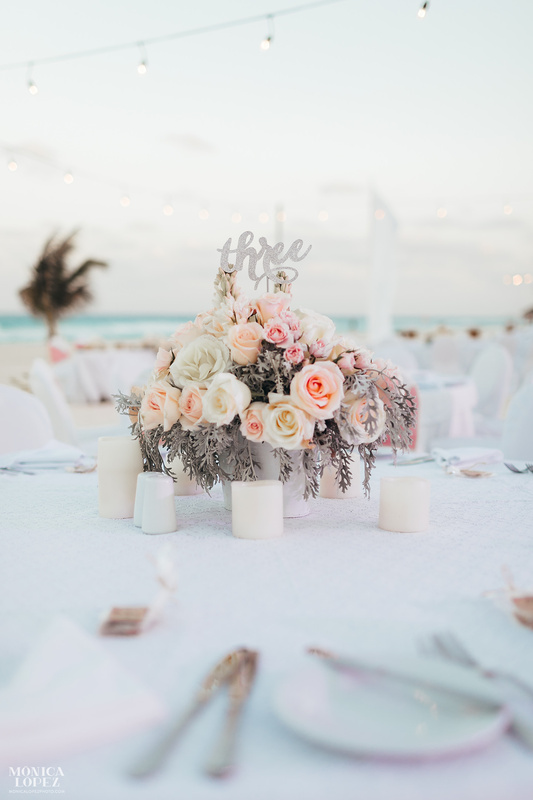 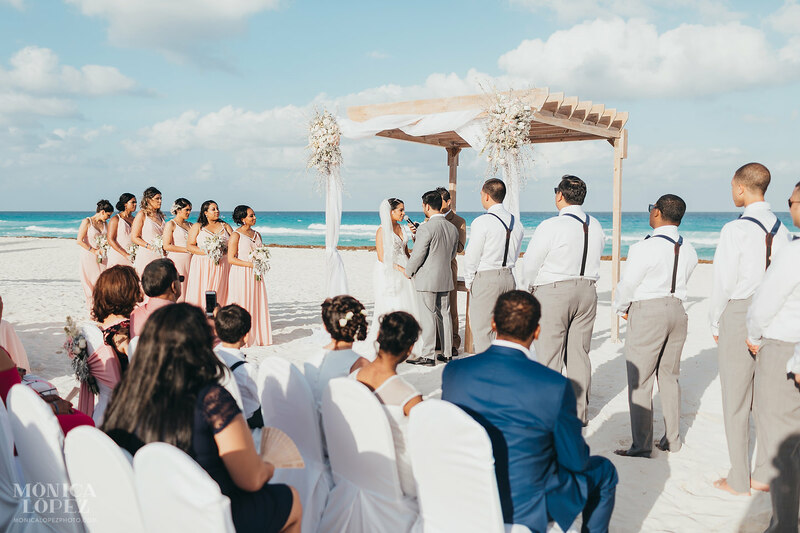 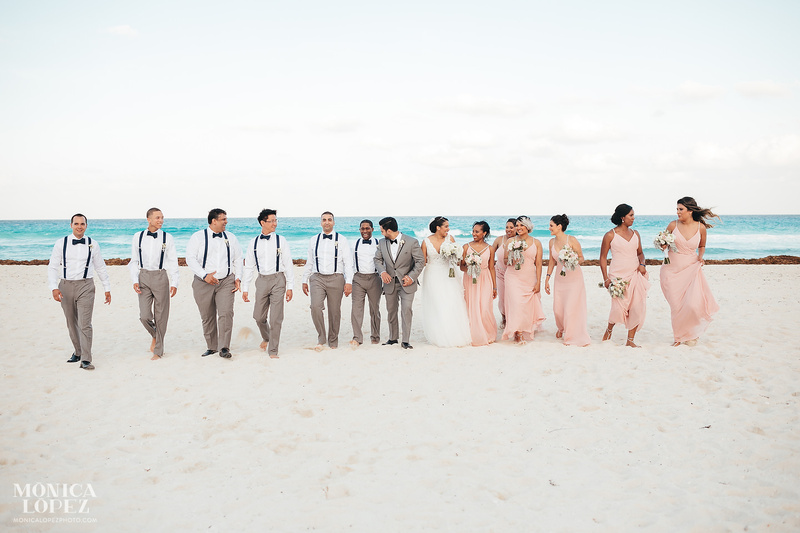 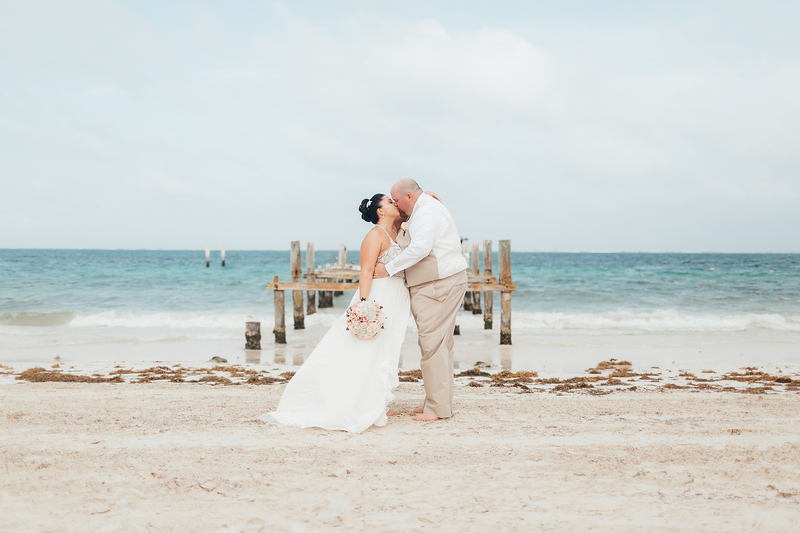 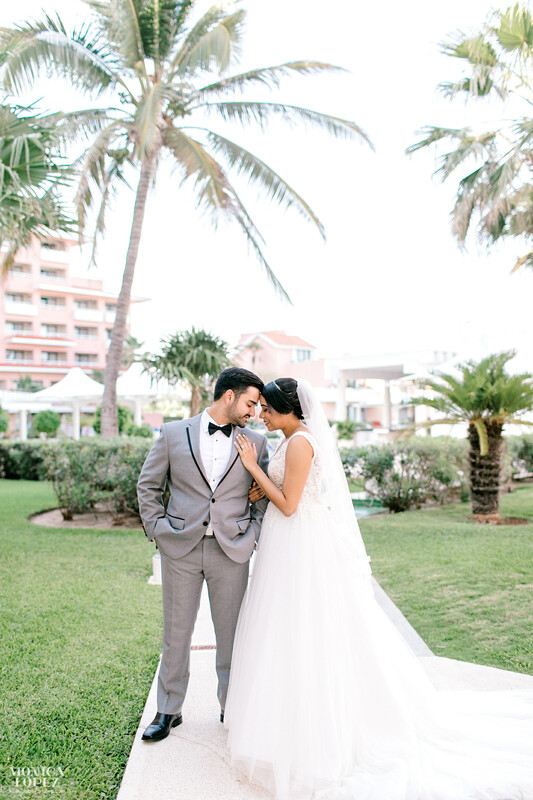 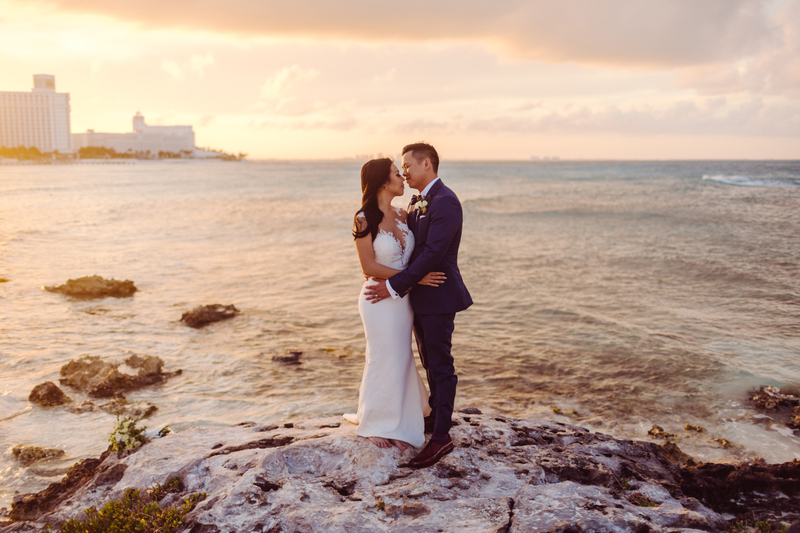 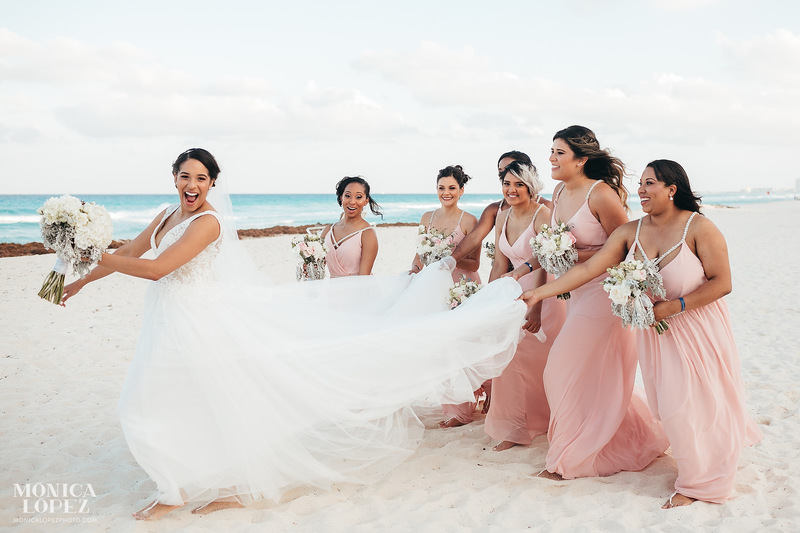 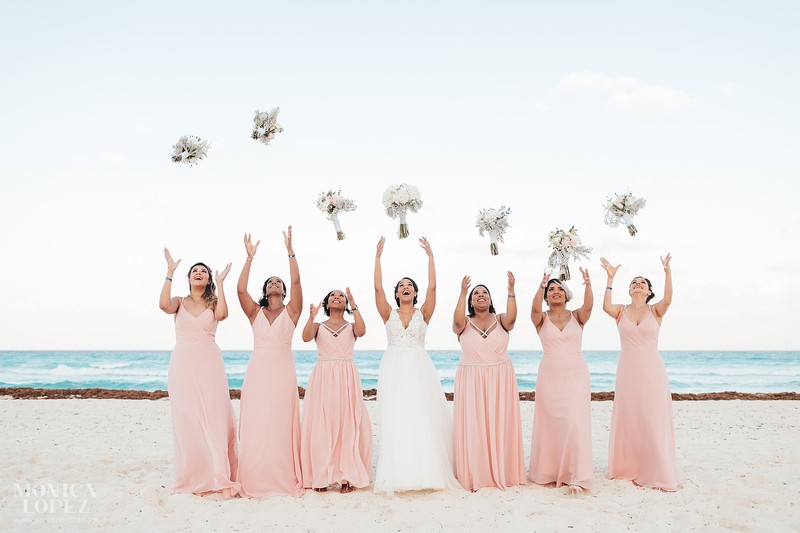 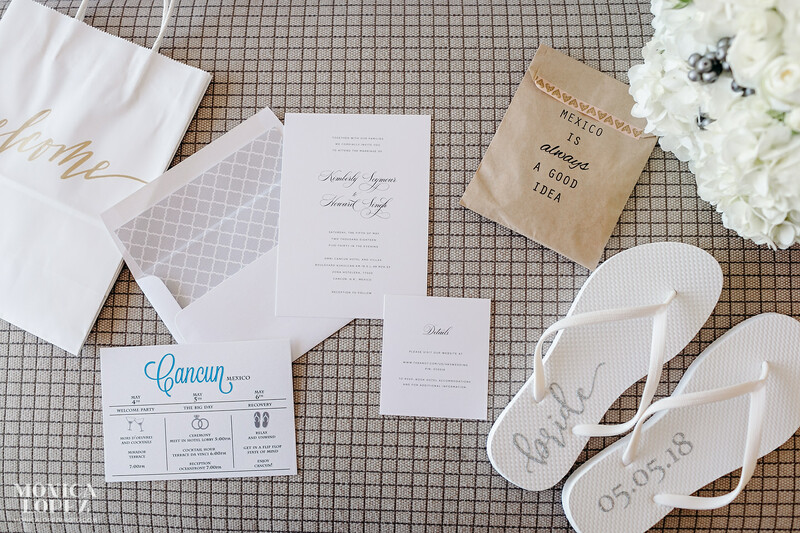 While color imagery, especially on the sunny shores of Cancun, is stunning, there is just something about the romance and elegance of a monochromatic image, especially on a wedding day. 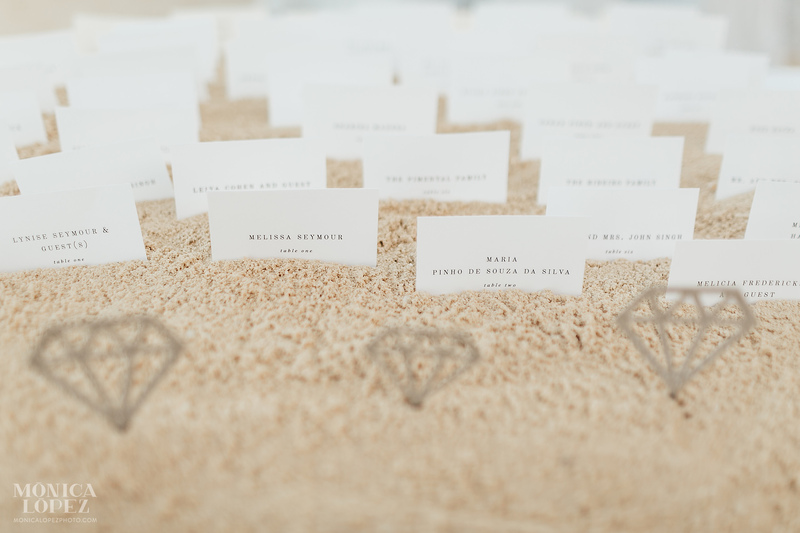 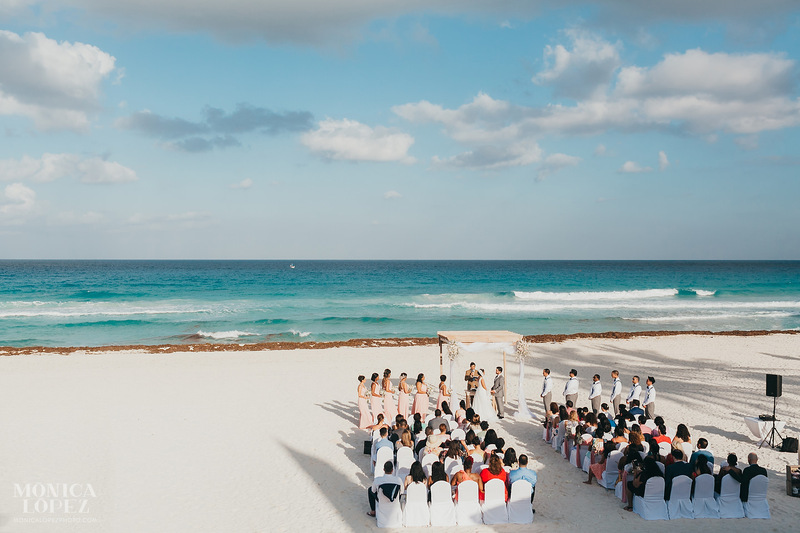 My husband and I visited Mexico on two separate occasions to find out where were wanted to have our destination wedding. 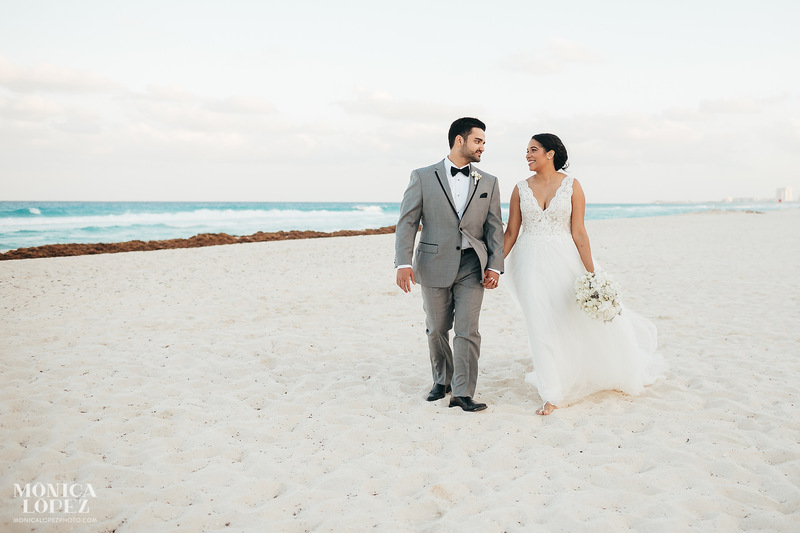 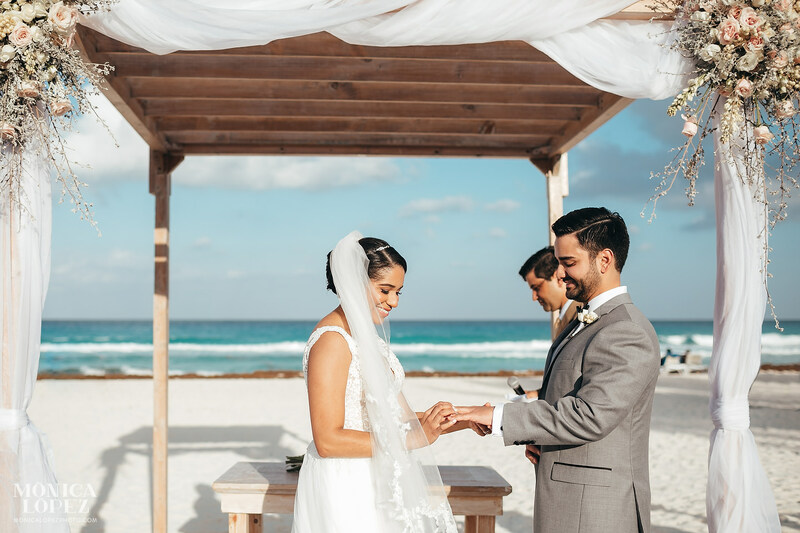 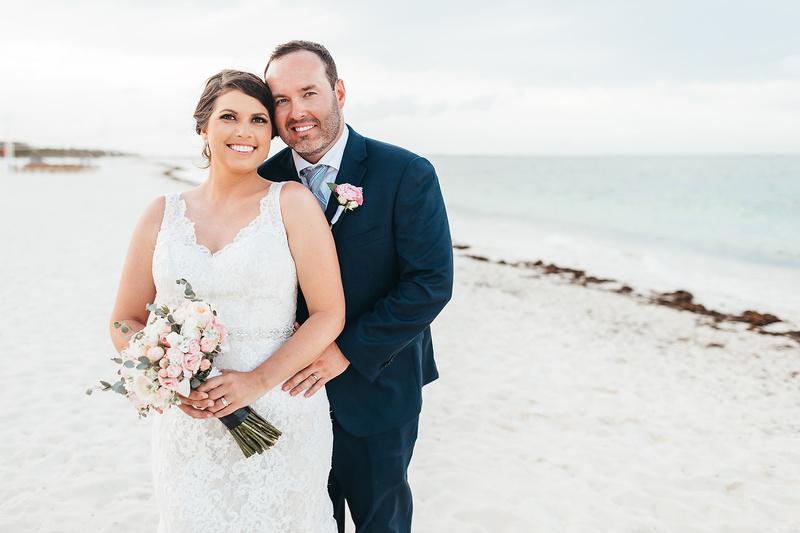 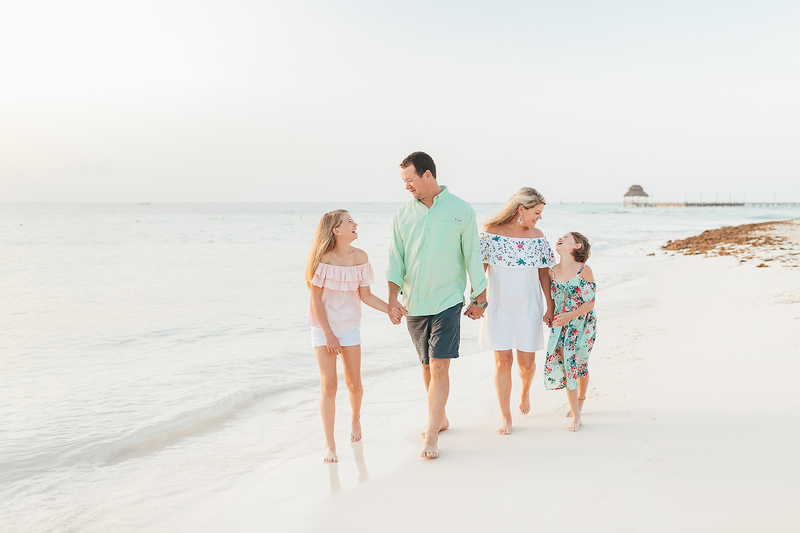 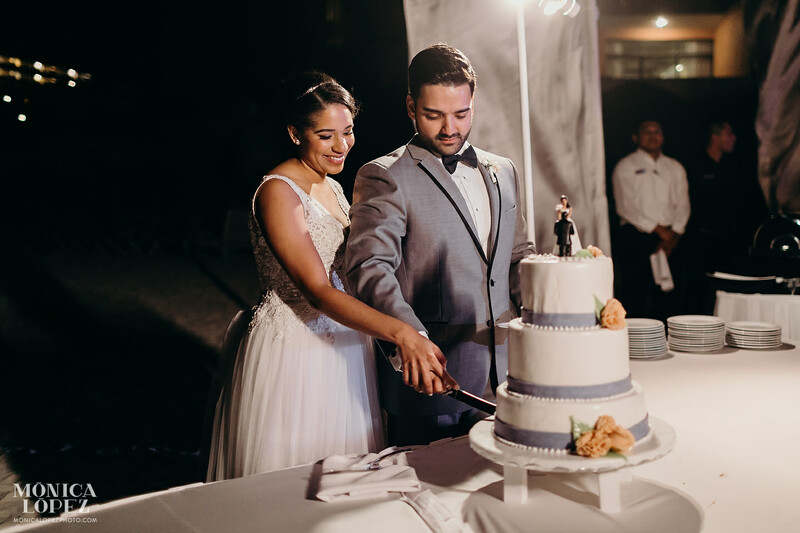 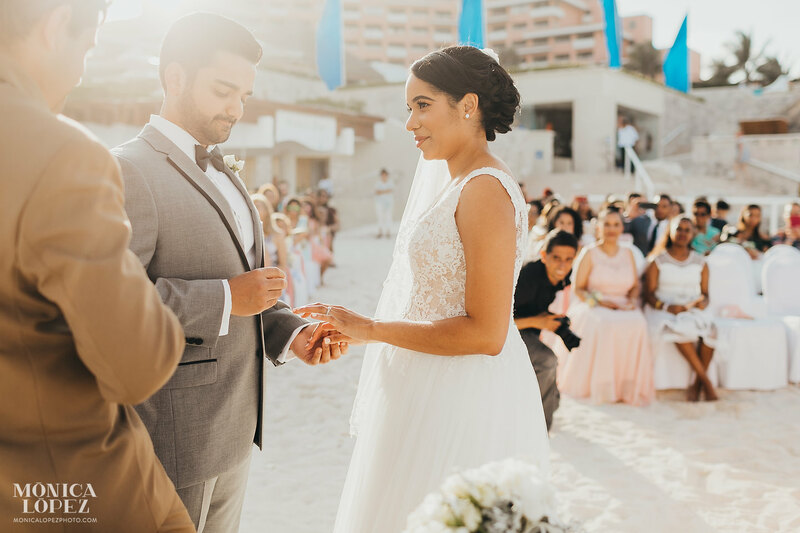 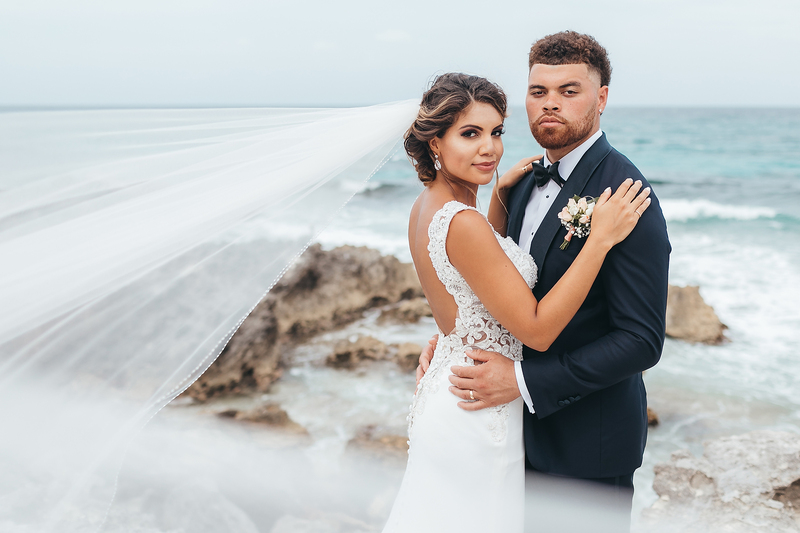 We finally decided to have our wedding at The Omni Cancun Hotel and Villas because it was the right price point that we could afford with luxury for ourselves and our families. 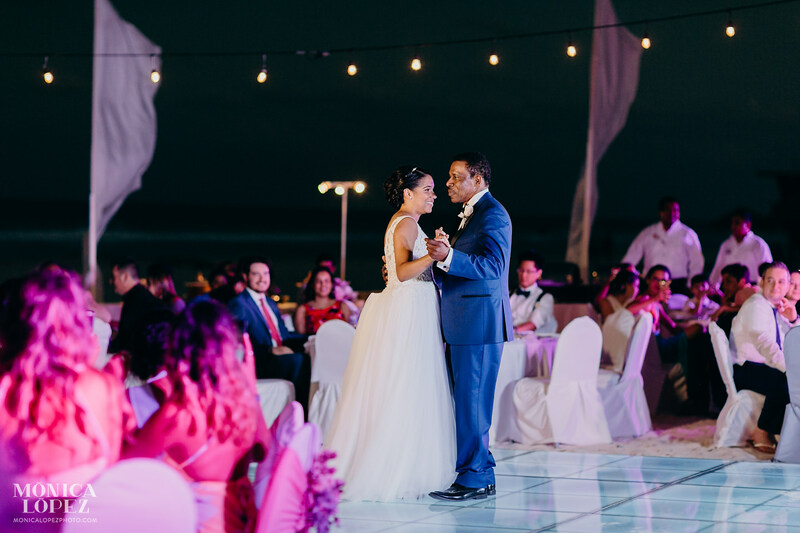 My most memorable moment was having both of our families come together from all over the world to witness our union together. 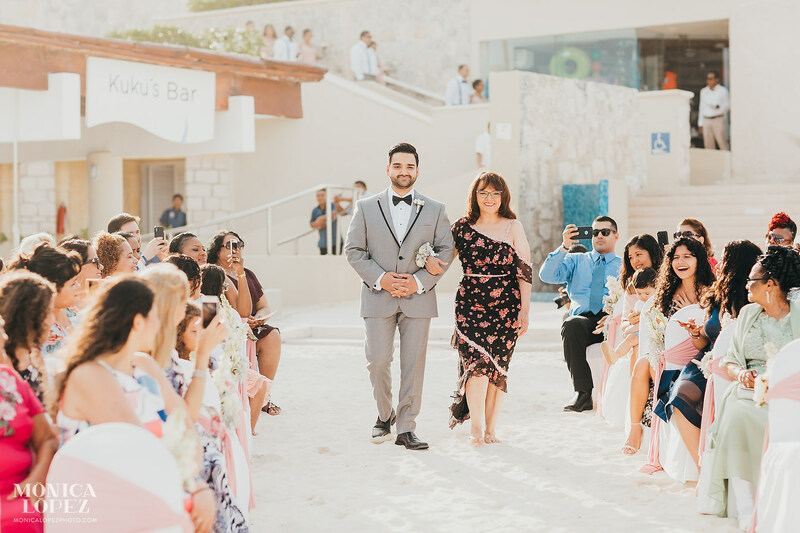 The moment I experienced walking down the aisle for the first time was very nerve wrecking but also memorable because I was marrying the love of my life. 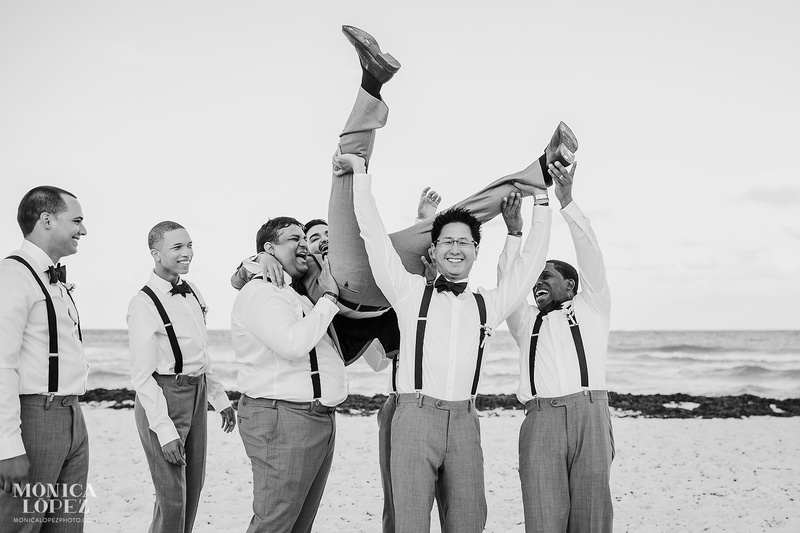 Everything went perfectly during my wedding day as everything that was planned worked out well. 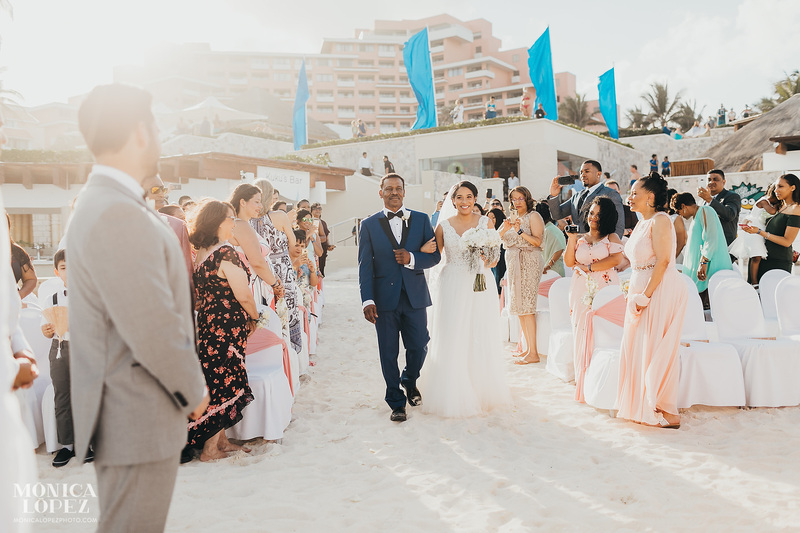 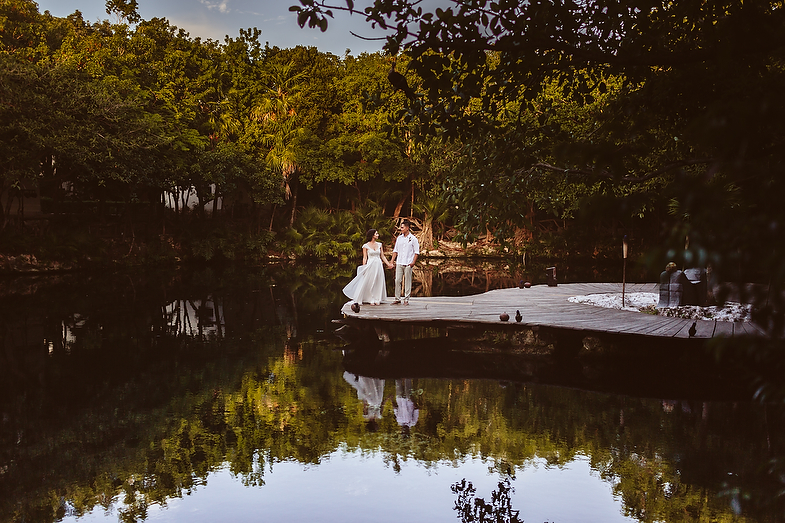 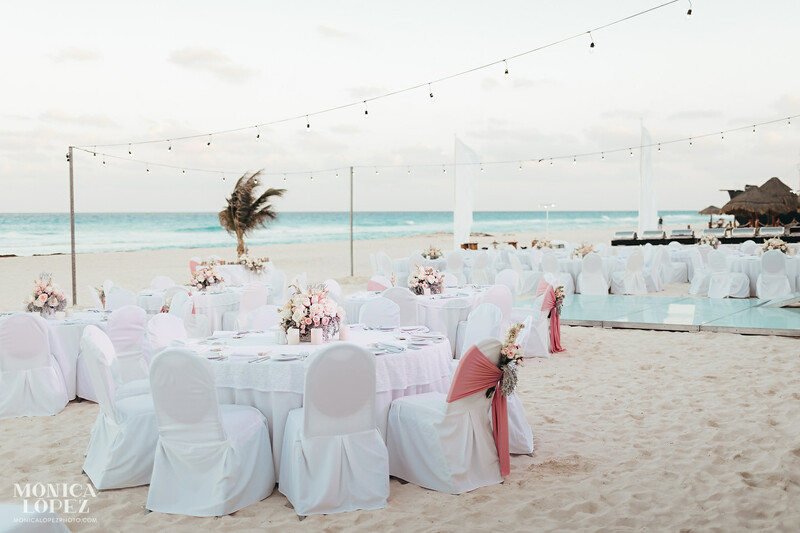 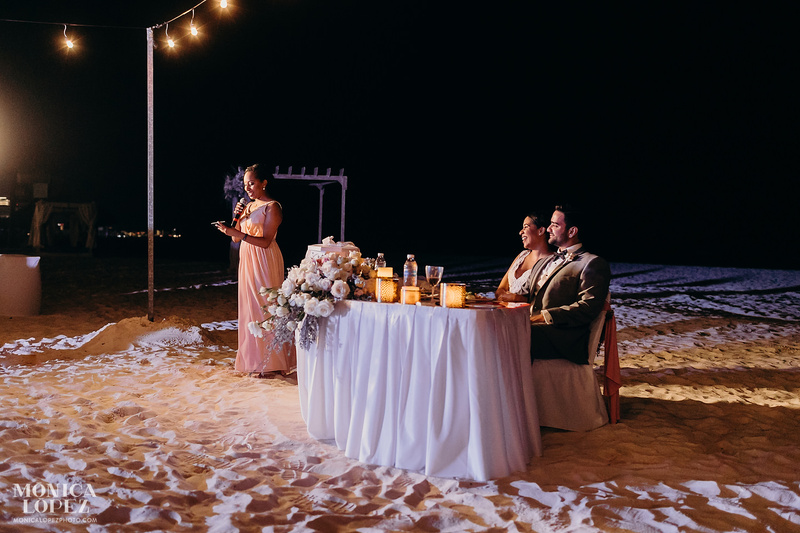 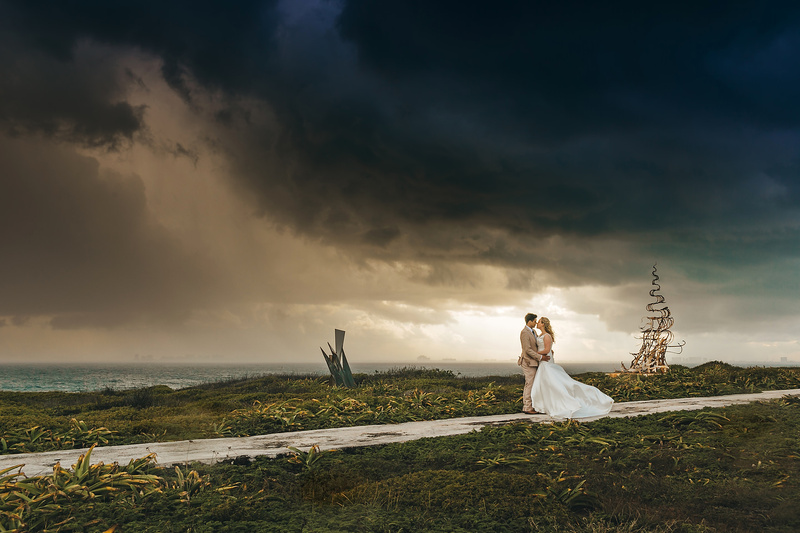 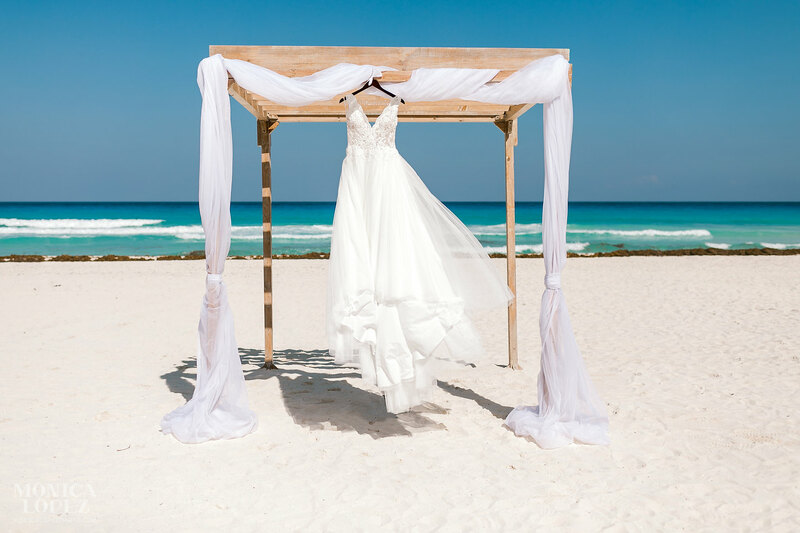 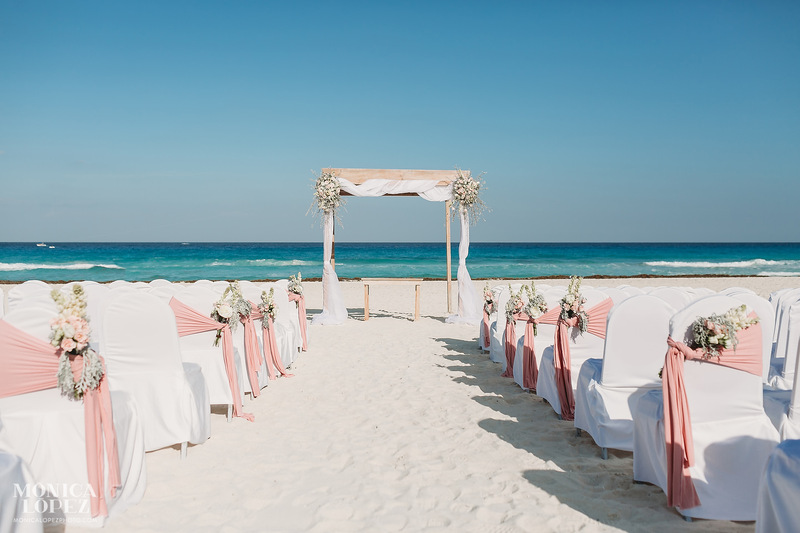 One tip for brides who would like to have a wedding in Cancun is to definitely do your research on your vendors and to remember it is a once in a lifetime opportunity that passes quickly. 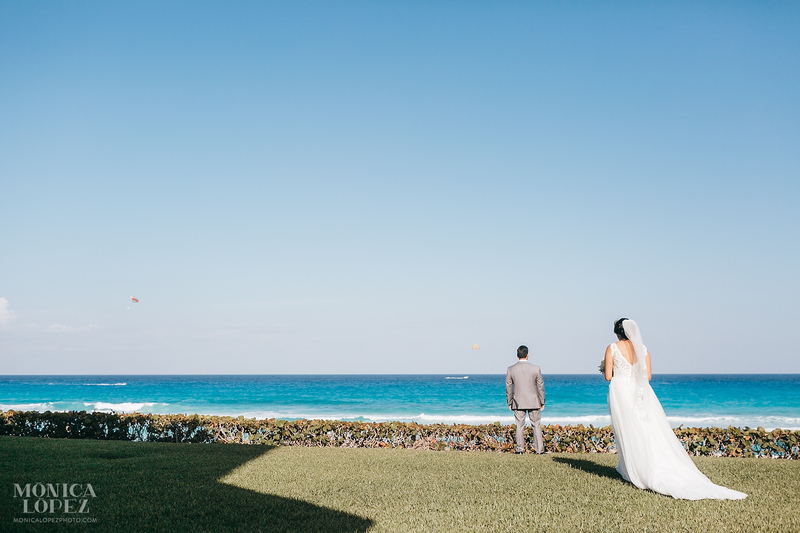 I planned my wedding myself and exactly how I wanted it to be, it took two years but everyday mattered. 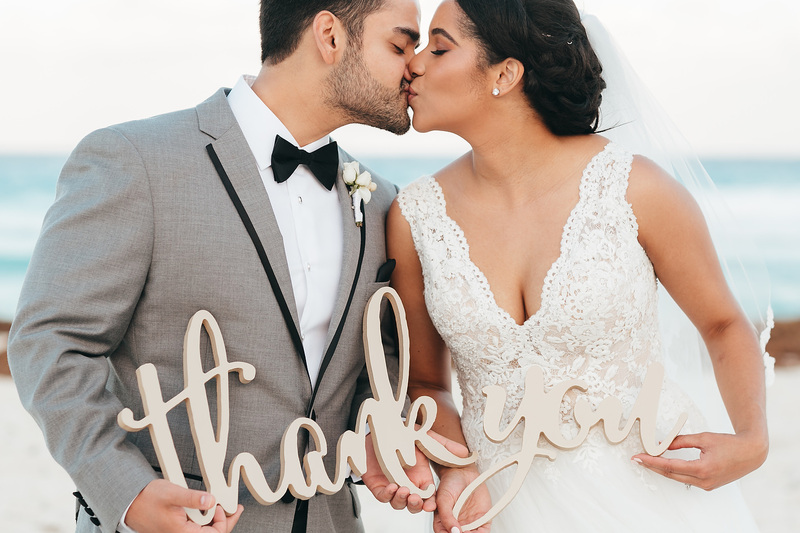 My wedding coordinator recommended not only one but two wedding photographer vendors for our wedding but unfortunately I was not happy with the photos and had to decline each. 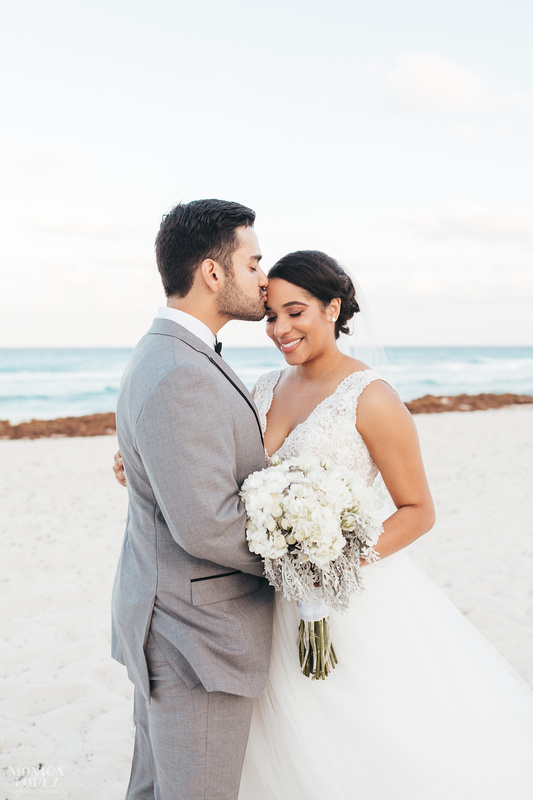 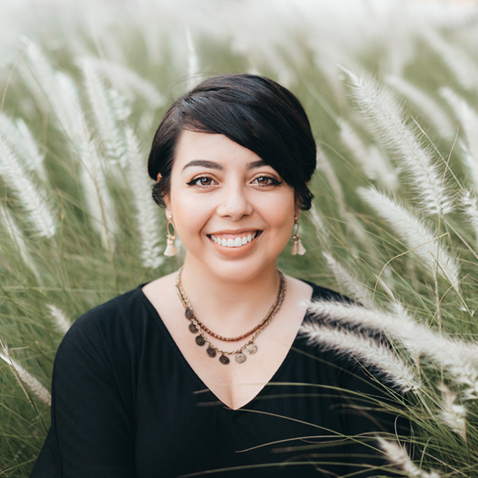 I did my own research and was lucky enough to find Monica Lopez Photography via WeddingWire and couldn’t have been happier. 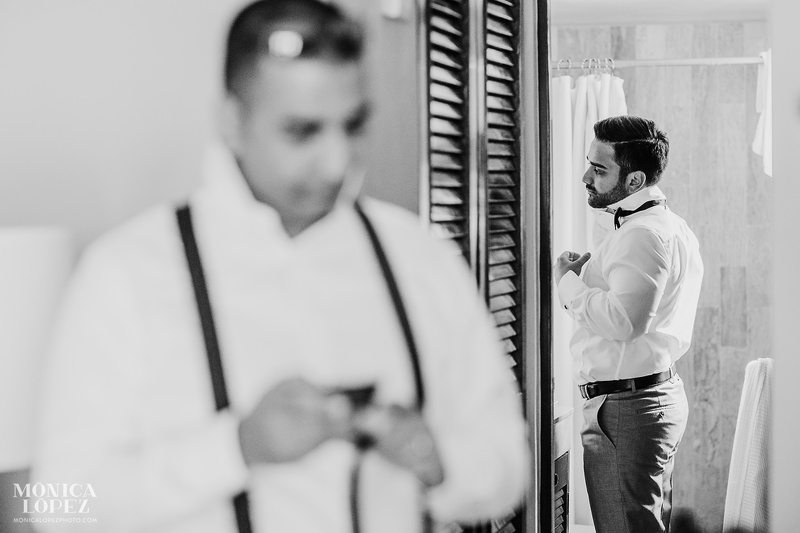 I read her story and viewed her work and automatically knew she had to be my photographer! 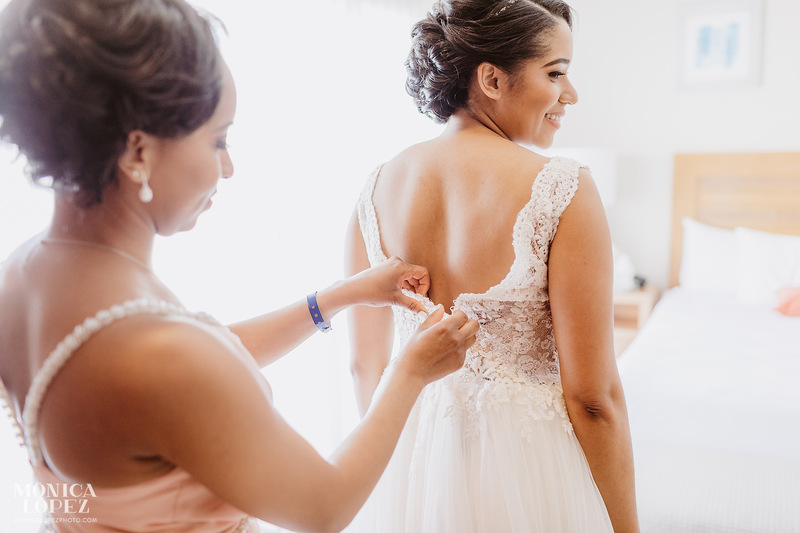 She is so gifted and on the months/weeks/days leading up to the wedding, she was always checking in on me and always offering her assistance. 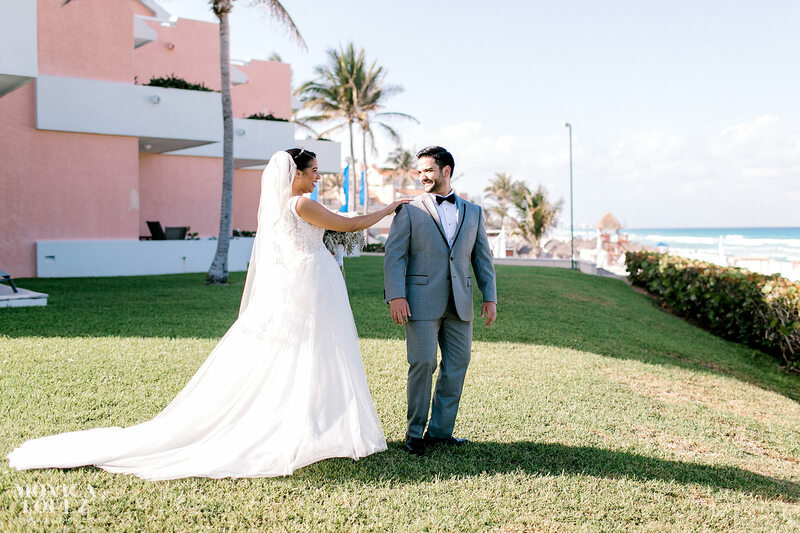 Monica and her partner Isidro knows how to work with couples perfectly and are a great team together. 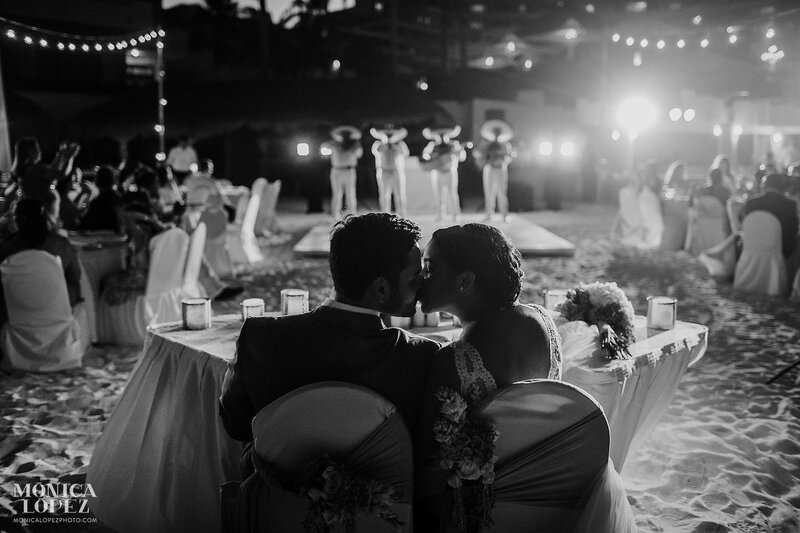 I highly recommend Monica Lopez Photography to every bride who would like to have a wedding in Mexico. 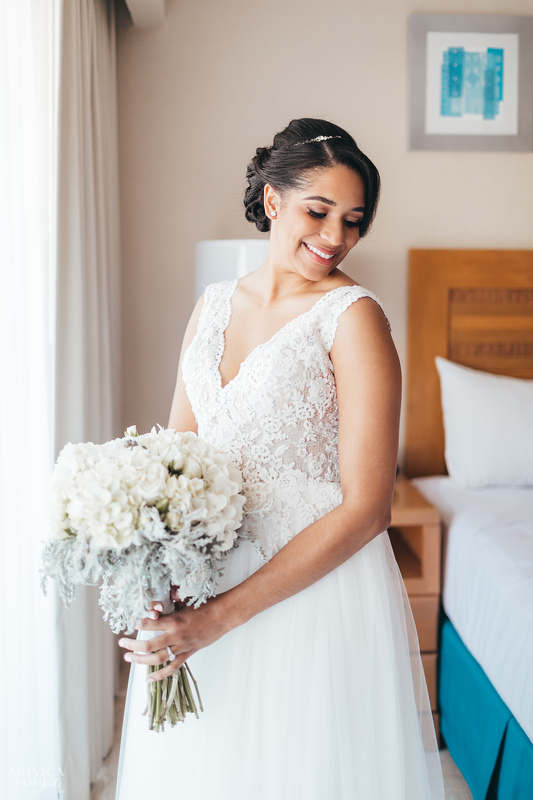 You shouldn’t hesitate to book her as she will not disappoint! 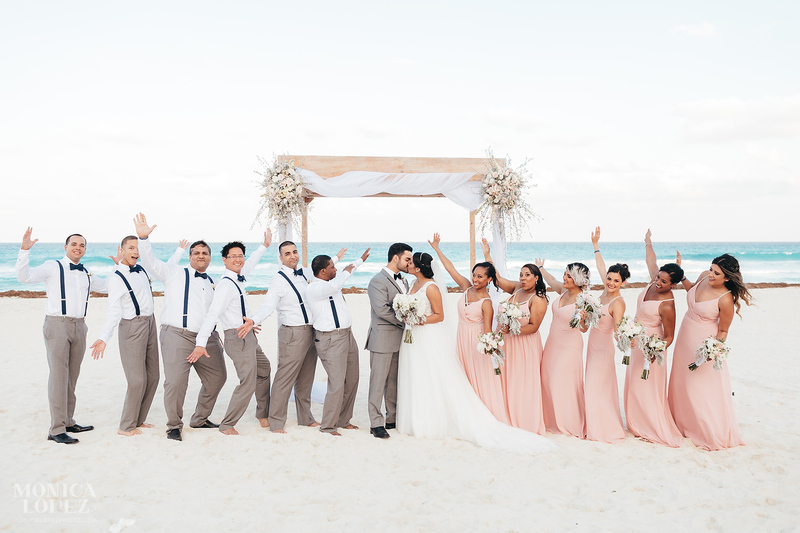 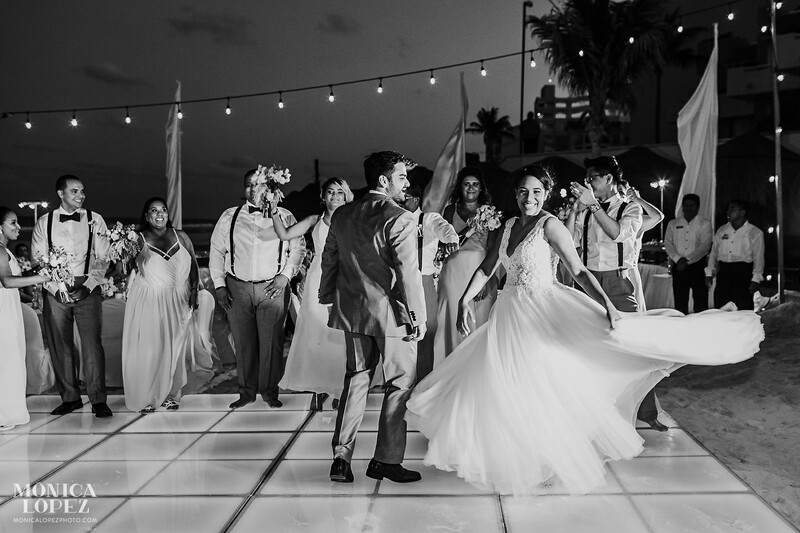 Check out some of the images captured during Kimberly and Howard’s Omni Cancun wedding below!